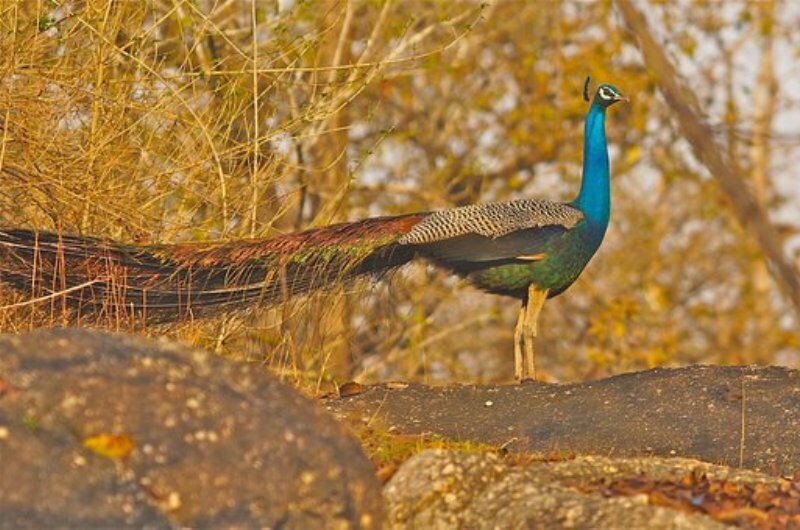 Pench National Park is rich in fauna, and is home to a number of endangered species. The tiger is the dominant predator here, and there are an estimated 25 of them in these prey-rich forests. The other predators include leopard, dhol (Indian Wild Dog), wolf, hyena, jackal and jungle cat. 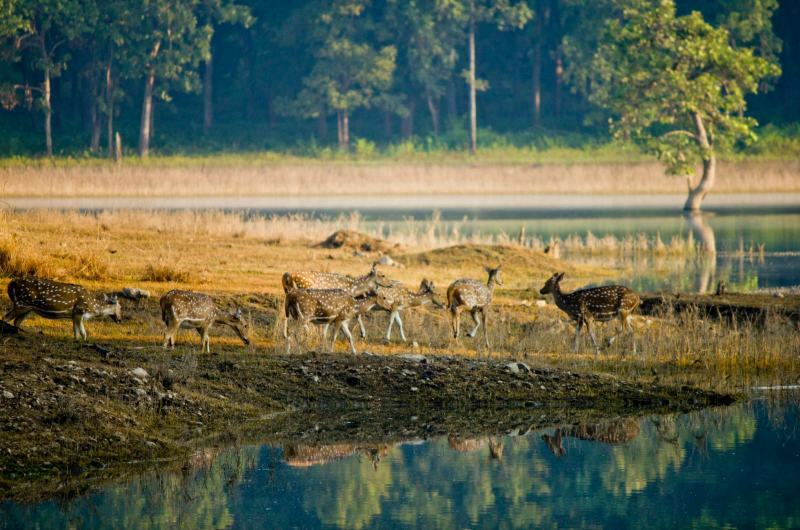 The prey species comprise of chital, sambhar, muntjac, gaur, wild boar, langur and rhesus macaques. 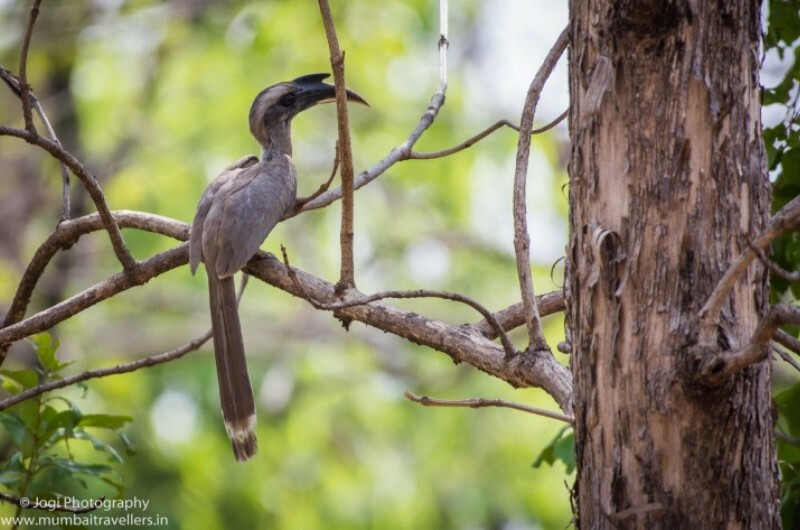 There is a rich birdlife with over 300 recorded bird species, including parakets, hornbills, kingfisher, barbets, minivets, orioles, wagtails, and a host of raptors; the crested serpent eagle, crested hawk eagle and white-eyed buzzard. The park is canopied by teak, mahua, tendu, bija, amaltas and palas varieties of trees. Bamboo abounds in the valleys. Jeep safari is an amazing way to experience nature and wildlife. The guests are provided with an experienced naturalist and a driver to accompany and enhance their safari experience. The hotel provides packed breakfast for the guests to enjoy on their early morning safari. Please Note: The park timings and park entry charges are decided by the forest department and we do not have any control on them. Most Important : Please ensure that you book your safaris online well before time . Last minute entry becomes almost impossible and we wish that you enjoy your stay at Baaz. We can assist you to book your safaris for all the above zones , the cost of each park ride including the vehicle , guide and gate charges will be communicated on Inquiry. Do Not Forget to Carry Your Binoculars, Cameras , Sun Caps and essentials before you set out for the safari and do not forget to get them back .